After Joshua leads the people of Israel into the Promised Land and takes control of it, he divides the territory among the tribes. Though they have conquered enough of the area to occupy it, remnants of other people, such as the Canaanites, still live there. (It’s often called the land of Canaan.) It’s up to each tribe to fully take control of their assigned region and drive out the people that live there. We can debate who has the right to live there. 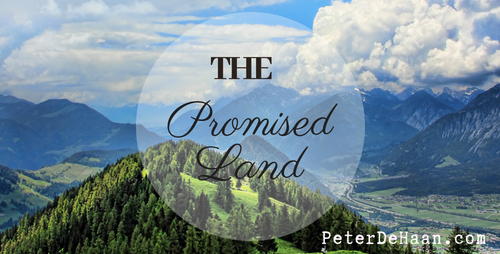 Is it the Israelites who God promised could live in this land? Or is it the people who live there when the Israelites arrive? Of course, if we go back a few centuries, we see that God first gave this land to Abraham. This means Israel is merely reclaiming what God gave them through Abraham long ago. Who has a rightful claim to this land? However, the discussion of rightful leadership isn’t the point in this post. The point is, what will the people of Israel do once they repossess the land? God tells them they are to drive out the people living there. This is another item we could debate. Why can’t they peacefully coexist? Why can’t they get along? It seems fair, but God knows that these other nations will negatively influence his people, causing them to disobey him and turn from him. As a result the Canaanites continued to live there. They caused great problems for God’s people in the coming years and centuries. We see their reoccurring threat throughout the book of Judges, and they’re still around during the days of Ezekiel, Ezra, and Nehemiah. The disobedience of the tribes of Ephraim and Manasseh to purge their area of ungodly influences cause problems for their descendants for centuries.